A contractor is working on a project that includes a contractual liquidated damages provision. 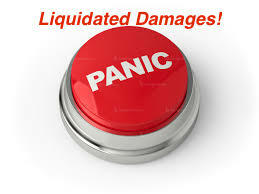 The liquidated damages provision says the contractor is liable for $2,000 per day in liquidated damages if the contractor does not achieve substantial completion by January 1, 2016, a date extended through agreed-upon change orders. Substantial completion has not been achieved by this date and is not projected to be achieved until May 1, 2016. The owner already notified the contractor that it plans to assess liquidated damages and such assessment will be deducted from the contractor’s payment (retainage payment application). When it comes to liquidated damages, who has the burden of proof: the owner or the contractor? The owner’s burden is actually quite simple. It is merely a burden of persuasion. All the owner has to do is establish that the project was not substantially completed in accordance with the contract and any approved extensions of time. Typically, an easy burden of persuasion. This shifts the burden of proof to the contractor challenging the assessment of liquidated damages to establish that the owner was the cause of delays to the substantial completion date (or other contractual date triggering the enforcement of liquidated damages) (e.g., design errors, change orders, change order directives, permit delays, differing site conditions, etc.). See, e.g., PCL Const. Services, Inc. v. U.S., 53 Fed.Cl. 479 (2002) (government has initial burden of persuasion showing contract was not completed on time shifting burden of proof to contractor to establish excusable delays); accord K-Con Bldg. Systems, Inc. v. U.S., 97 Fed.Cl. 41 (2011) (contractor failed to establish owner caused delays precluding the owner from assessing liquidated damages); Carrothers Const. Co. v. City of S. Hutchinson, 755, 207 P.3d 231, 241 (Kan. 2009) (“By placing the burden of proof on the party challenging a liquidated damages clause, we promote a public policy favoring settlement and avoidance of litigation, and allowing parties to make, and live by, their own contracts.”); TAL Fin. Corp. v. CSC Consulting, Inc., 844 N.E.2d 1085, 1092 (Mass. 2006) (“The burden of proof regarding the enforceability of a liquidated damages clause, therefore, should rest squarely on the party seeking to set it aside.”). When you sign a construction contract with a liquidated damages provision, understand the application of this provision if the project is not completed in accordance with the provision. 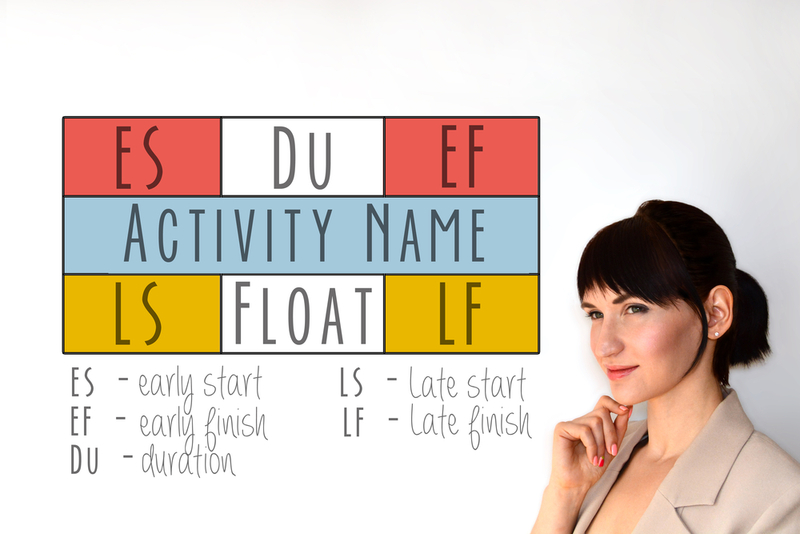 Make sure to ask for and document extensions of time and excusable delays. In other words, preserve your rights under any notice provisions in the contract asking for extensions of time or notifying the owner of scheduling impacts. Also, consult with a scheduling consultant, as may be necessary, to analyze the critical path of the schedule to isolate excusable delay and any concurrent delay establishing that although the project was late there were events or issues that would reduce or fully negate the number of days the owner is assessing liquidated damages for. The term “substantial completion” is in most construction contracts. And, it should be. This date marks the date the owner expects to be able to use its project for its intended purpose and, if it cannot, the contractor will (likely) be assessed liquidated damages for the delay to the substantial completion date. The owner’s contractual ability to assess liquidated damages serves to motivate the contractor to substantially complete the project by the agreed date and to reimburse the owner for delay-related damages that cannot be ascertained with a reasonable degree of certainty at the time of the contract. Under the general conditions of the AIA (American Institute of Architects A201 Document 2007), substantial completion is the “stage in the progress of the Work when the Work or designated portion thereof is sufficiently complete in accordance with the Contract Documents so that the Owner can occupy or utilize the Work for its intended use.” (AIA Document A201 s. 9.8.1) Under the AIA, the architect is required to conduct inspections to determine the date of substantial completion and certifies this date. Whether it is an AIA, EJCDC, or other industry form document, substantial completion is routinely defined as that point in time when the owner can utilize its project for the purposes for which it is intended. “[W]hen the owner can put tenants in possession for fixturing and can begin to collect rents, the owner begins to utilize the work for its intended purpose. When the owner was able to occupy and fixture the constructed space, the construction was substantially completed.” J.M. Beeson, 553 at 182-83 (internal citations omitted). The Fourth District indicated that the substantial completion date occurred no later than the date the shopping center was able to obtain certificates of occupancy for the tenants. Notably, if the contractor in J.M. Beeson was simply required to build shell retail space where the tenants were responsible for their own tenant improvements, the substantial completion would likely occur when an applicable certificate of completion was issued for the shell space pursuant to the shell permit that would entitle the tenants to begin their individual improvements. See, e.g., Hausman v. Bayrock Investment Co., 530 So.2d 938 (Fla. 5th DCA 1988) (finding that test for substantial completion for property tax purposes is the date property is put to use for which it is intended; in this case, since contactor was building shell retail space, substantial completion occurred when shells were completed). If an owner is in a position to use its project for its intended purpose (whether for personal use, public use, whatever the project entails), this really should mark the substantial completion date. This is more of an objective date determined by the governing building department through the issuance of a certificate relating to the permit. I prefer the substantial completion definition in the general conditions of the EJCDC (above) because it references that this point in time should not be earlier than the issuance of a Certificate of Occupancy (or applicable Certificate of Completion). 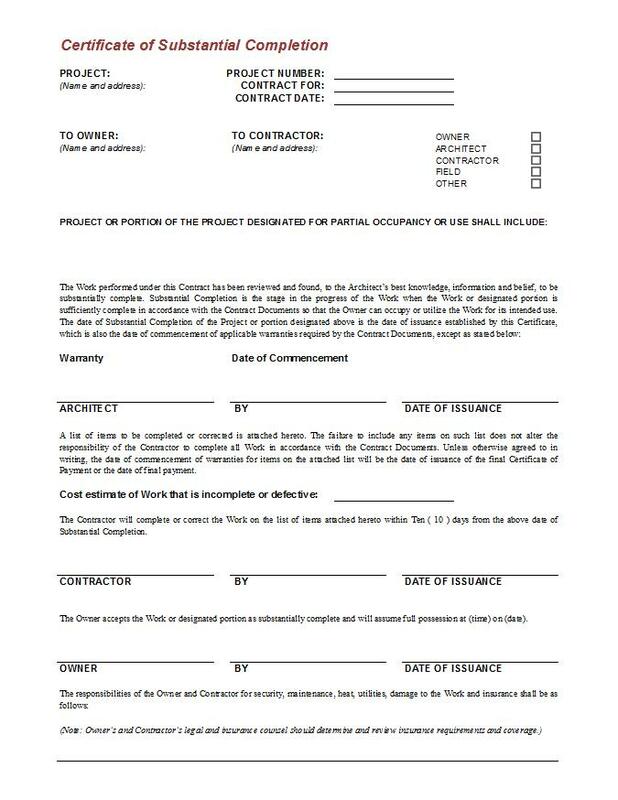 Even though most contracts give certain discretion to the design professional to determine and certify the date, the fact remains that the Certificate of Occupancy is realistically the date that determines when an Owner can use its project for its intended purpose since it permits occupancy. 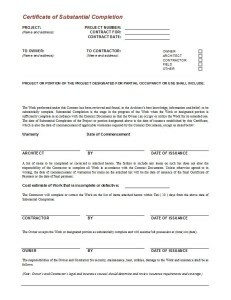 I often like to tie the substantial completion date in the contract to the Certificate of Occupancy date or Temporary Certificate of Occupancy date (since the TCO date may be the date that allows occupancy under certain conditions) since this more accurately reflects the date the Owner can use its project for its purpose (or, if it is a project for shell space, the Certificate of Completion date that authorizes the tenant to construct finishes / improvements). Also, this removes some of the discretion from the design professional and shifts their focus to generating the punchlist and working towards final completion. From an owner’s perspective, if it agrees to a mutual waiver of consequential damages in the contract, it must absolutely include a liquidated damages provision tied to the substantial completion date. If it does not want to include a liquidated damages provision, then the owner needs to ensure there is not a mutual waiver of consequential damages provision and, if there is a delay to the substantial completion date, be in a position to prove its actual delay-related damages. From a contractor’s perspective, it wants to agree to a substantial completion date where arguably there is float built into its schedule to ensure it has enough time to substantially complete the project. Also, it will want to ensure through flow-down provisions in its subcontracts that it has the ability to flow down assessed liquidated damages to responsible subcontractors that impact its critical path. From a subcontractors’ perspective, it needs to understand the contractor’s schedule and how the work is sequenced and ideally have input particularly relating to durations for its activities based on the sequencing of the work. Otherwise, the subcontractor could be putting itself in a position where it will be notified of delays since it is unable to meet its required durations.